Determining a fair, accurate and justifiable price for your business is a major factor in achieving a sale before the business goes stale in the marketplace and you have to look to dramatically dropping the price to get your sale. There are several commonly accepted methods of determining a selling price and, obviously they do not all come to the same conclusion. As a seller you would want to get the best possible price but this would need to be reasonable in relation to what the business offers the buyer in terms of benefits. So you cannot simply look at all the valuation methods and choose the one that gives you the highest selling price. That could just set you on the path to an overpriced offering that will never sell. The longer the business remains unsold on the market, the lower your chances of a sale. Future earnings are not the only determinant that establishes value with the buyer. There may well be synergies in marketing and sales, or cost savings in duplicated functions, that would make an acquisition of a similar industry business much more appealing to a buyer. Or the purchase might be viewed as a way of gaining access to a particular geographic sales market, or it could ultimately be insight to a technology or process that is being sought. The buyer looking for a guesthouse operation or a small resort on the KZN South Coast is probably looking more for a sustainable lifestyle investment than for a profitable shooting star to develop. The point here is that even after you set a price, different buyers will assess the fairness of that price differently. What you need is to determine your price, be able to justify how you arrived at that price, and understand how much you can deviate (or discount) under conditions to secure a sale at a still acceptable price. This is a vintage method which would probably have little relevance today, but it is easy to calculate and can give a starting point to ease you into the maze of valuation methods. 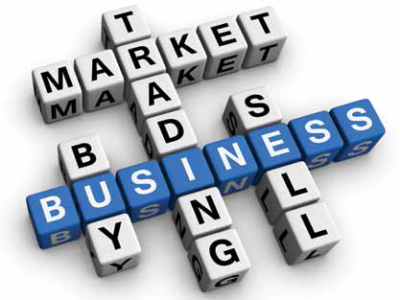 It has some merit with respect to valuing retail trading businesses where there is low risk and high demand for the business products. This is a method rooted in time that may have had more value a long way back when business conditions were less diverse and dynamic than today. They rely on industry "folk law" where it might be said that a newspaper publishing business is worth one year's turnover or that a garden services business is worth R5000 per contract customer plus the assets. Another rule of thumb claims that advertising agencies should be valued at 150% of a year's total income. The variations between individual businesses and their market conditions may make reliance on a rule of thumb seem plain foolishness. But if the rule of thumb gives a result similar to the Multipler or ROI methods, then that can be used to support your procing logic argument. What would it cost you to create a similar business at current prices? Finding staff, developing products, securing premises, making leasehold improvements, getting customers, paying for new equipment, etc. This maight also take a considerable amount of time to achieve which is a period of potential lost earnings. This can all be factored into a single sum and then either discounted or increased by a premium for the packaged, instant feature. If the company is dormant or is trading at a low level (absent or ill owner, other interests, etc) then the value of its assets becomes the prime determinant of its value. Premises would be available, all the necessary equipment is in place, and a buyer with experience (or already established) in this industry would see real value. This should have an accumulated value that would be higher than a fire sale or auction value. For some businesses, this may be the only way to set a price. The buyer's cost of developing the intangible asset may be many times more than the cost of buying to take the assts over. Perhaps the assets are not performing for the seller for a specific reason but they could be very valuable to the seller. A prime example would be a customer base where the customers are tied in and unlikely to leave, even if they were not all that happy with the new owner. These could include accounting and payroll services, property managers, transport contractors, insurance broerages and web hosting operations. And of course there would also be revenus and cost synergies when merging with the buyers established business. The seller in this case might value each customer at that customer's contribution to profitability for 1 year and offer a credit for the pro-rated period if that customer leaves before the year is up. Here the buyer will determine an adjusted annual income and express it a a percentage of the price to be paid for the business. The result would be the return on investment (ROI) and this would need to meet certain levels to compensate for risk. In a low risk business with a high asset component (such as a liquor store in owned premises) the required return may be 15% to 20% per annum. A high risk business (such as retail fashion clothing in a mall location in rented premises) might require a 50% to 60% return to compensate for the higher risk of earlier failure. The seller then calculates a price that will generate the required return to the buyer. Note that the annual income is adjusted by adding back interest paid, tax, depreciation and the owner's drawings. This is the most generally accepted method of price determination for small businesses selling at under R5 million and is a simple variation of the Capitalised Earnings method. Firstly, the annual income figure is adjusted in the same manner by adding back interest paid, tax, depreciation and the owner's drawings. Risk is assessed by allocating a payback period which is determined by the risk of failure profile. So for a very risky business with no resellable assets, a buyer might want to recoup the purchase price paid within a year, but for a very low risk business with a good, value holding asset base a buyer might be happy with a four year payback. So if the business makes R600 000 per year, a high risk multiple 1,5 assessment would mean the price is R900 000. But a low risk multiple 4 assessment would give a price of R2,4 million (R600k x 4). In the capitalised earnings ROI method above, these would be 66% ROI and 25% ROI. A business rich in assets lowers the risk profile, and simple supply and demand can also effect desirability which you can factor into the risk to a lesser extent. Restaurants, pubs and fast food outlets, for example, are often available in abundant supply. So, what price method would one use ? A dormant trading situation with good assets might mean the Tangible Assets Method whereas big, stable customer bases might need the Intangible Assets Method. These would be compared with the Capitalised/Multipler Method to see which would be the more suitable. You may even want to use weighted averages. But remember that most buyers will always ask you how you arrived at your price. Being able to answer that in a confident and logical way will establish credibility and let the buyer move to the next stage of confirming value. At the end of the day, a business is only worth what someone is prepared to pay for it. And don't forget that how you offer the transaction can also effect the price. This refers to negotiability. Insisting on a full cash deal up front may seriously limit your market, and you may need to offer an alternative lower price for a buyer who can provide a full cash payment. If you can structure a creative deal that allows for some element of self funding, then you should be able to request a higher price.We would be pleased to discuss how one of our valuation solutions can benefit you as well as help you develop an exit strategy to maximise the value of your business.